Looking Glass Theatre presents Sundown Broadway Revue featuring classics from the Great White Way in addition to fan favorites. Family-friendly. Suggested donation $12. Shows begin at 7 p.m. in Bard Hall at First Unitarian Universalist Church, 4190 Front St. in Hillcrest. Visit bit.ly/2xqgzKF. Don your suffrage hat and long skirt or time-period suit and hat to join the 12th annual Suffrage Rally and Parade. Listen to reenactments of suffragists from the First Wave of Feminism including Eleanor Roosevelt. Free. Light refreshments provided. 4 p.m. at the lawn area by the Hall of Nations in Balboa Park, 2191 Pan American Road. Visit bit.ly/2xpOO4T. 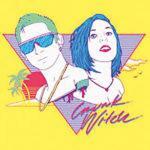 Rock band The Kickback will perform with Splavender and Faulkner at 8:30 p.m. at Soda Bar, 3615 El Cajon Blvd. in North Park. 21-and-older show. Tickets $10 at bit.ly/2wvLEA2. San Diego City Soul Club presents Angel City recording artists Jackie Mendez and Xiatoni Ari. San Diego’s own Unsteady will perform the opening set. $10 at the door. Bring a printed flyer for a $2 discount. 8 p.m.–2 a.m. at Kensington Club, 4079 Adams Ave. Visit bit.ly/2xpFZrF. Larry Himmel Neighborhood Foundation hosts its second annual back-to-school haircuts for free to children 18 and younger. The event also features music, food, raffles, Padres tickets and more. First come, first serve. 10 a.m.–2 p.m. at California Barber & Beauty College, 5315 El Cajon Blvd. Visit bit.ly/2wvG0hh. 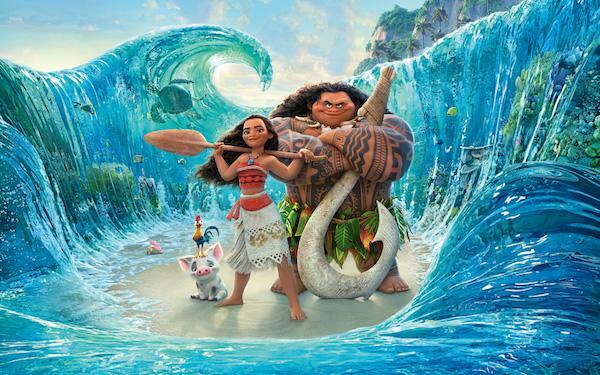 Stop by Adams Avenue Park for a free screening of Disney’s “Moana” in Normal Heights. Bring a blanket, picnic, friends and family. Movie starts at sundown. 8–11 p.m. at Adams Avenue Park. Visit bit.ly/2xpN23O. 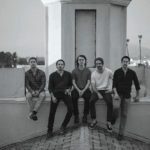 Experimental dream-pop band Starover Blue will perform with Mittens and Bad & The Ugly at 8 p.m. at Soda Bar, 3615 El Cajon Blvd. in North Park. 21-and-older show. Tickets $7 at bit.ly/2wvHoRj. Caitlin Rother, a writing coach and New York Times bestselling author, will give tips and exercises to get your creative juices flowing. Bring a laptop or notebook and pen. The event will be held 6:15–7:30 p.m. at Kensington-Normal Heights Library, 4121 Adams Ave. Register by calling 619-533-3974. Join Councilmember Chris Ward in North Park for a community update from 4–6 p.m. and staff will be available from 3­–7 p.m. to hear your feedback on city services. North Park Farmers Market, 3000 North Park Way. RSVP to bweise@sandiego.gov or call 619-236-6633. The Studio Door will celebrate National Deaf Awareness Month by showcasing diverse range of work from 18 Deaf and Hard of hearing artists from around the country. An artist reception will be held at 6­–9 p.m. on Sept. 9. Free. The Studio Door, 3750 30th St. in North Park. Visit bit.ly/2wvjJ3n. 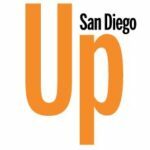 Children invited to read aloud to therapy dogs from 10:30-11:30 a.m. at Mission Hills Library, 925 W. Washington St. Visit facebook.com/missionhillslibrary or call 619-692-4910. Comedian Suzanne Westenhoefer will perform “Irresistible Humor” at Martinis Above Fourth, 3940 Fourth Ave. in Hillcrest. $35 plus a $15 per person food or drink minimum. Doors 6 p.m., show 8 p.m. Visit bit.ly/2xqgE14. Mission Hills Book Group will discuss “Harriet Tubman: The Road to Freedom” by Catherine Clinton. New members welcome. Read the book before the event from 10­–11 a.m. at Mission Hills Library, 925 W. Washington St. Visit facebook.com/missionhillslibrary or call 619-692-4910. 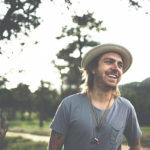 Grammy-nominated songwriter Dan Navarro will perform at 8 p.m. GrassRoots Oasis, 3130 Moore St. near Old Town. Tickets $20–$25. 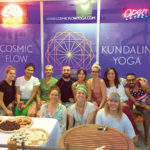 Visit grassrootsoasis.com or call 858-945-6273. Join the fight for Alzheimer’s first survivor. The route length is 5K. 8:30 a.m. registration; 9:30 a.m. ceremony; 10 a.m. walk at Crown Point Park in Mission Bay. Contact Edward Jones at 858-551-9811 or visit bit.ly/2w7W490. Network with thousands of business owners and entrepreneurs at America’s biggest business-to-business trade show. Free. RSVP required. 9 a.m.–5 p.m. in Hall H at San Diego Convention Center, 111 West Harbor Drive. Visit TheSmallBusinessExpo.com. 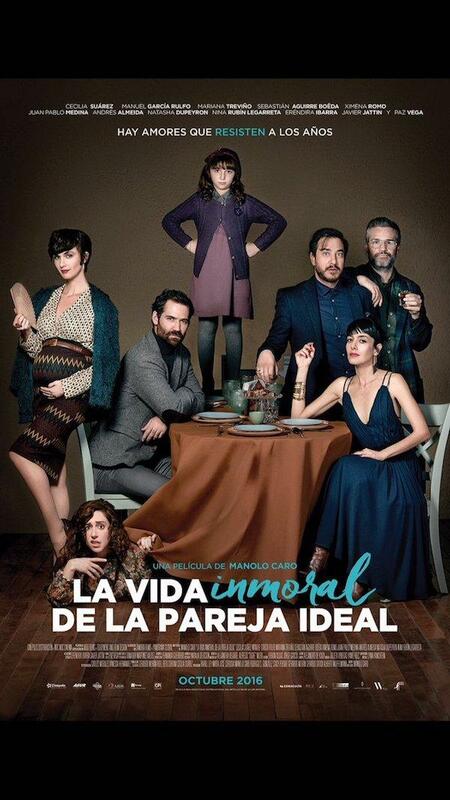 ‘La Vida Inmoral de la Pareja Ideal’ – High school lovers reconnect as adults in this charming romantic comedy starring Cecilia Suarez and Manuel García-Rulfo. Unrated. Through Thursday, Sept. 7. 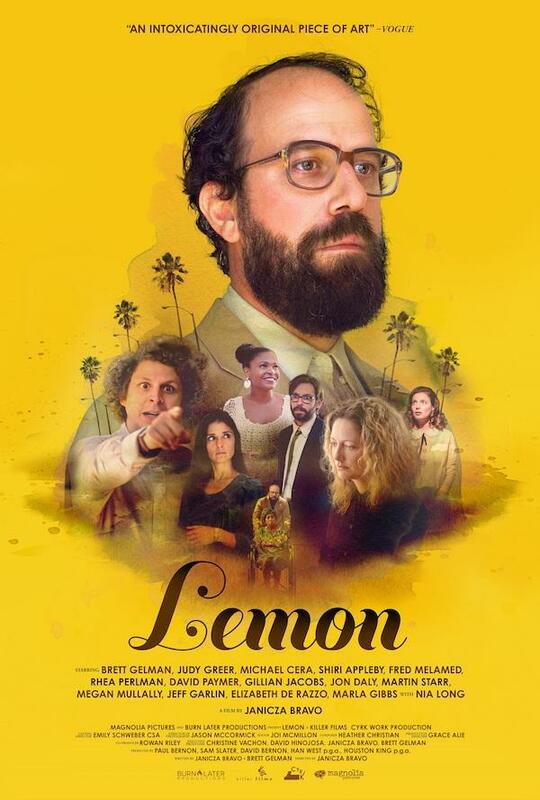 ‘Lemon’ ­– A break-up sends a neurotic man on a downward spiral in this dark comedy hit starring Judy Greer, Michael Cera and Gillian Jacobs. Unrated. Through Thursday, Aug. 31. 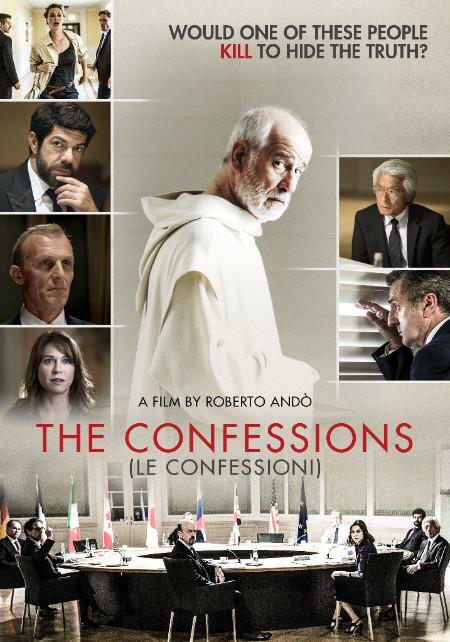 ‘The Confessions’ – A financial summit meeting being held in Germany is rocked by a shocking death in this Italian thriller. Unrated. Friday, Sept. 1 to Thursday, Sept. 7. 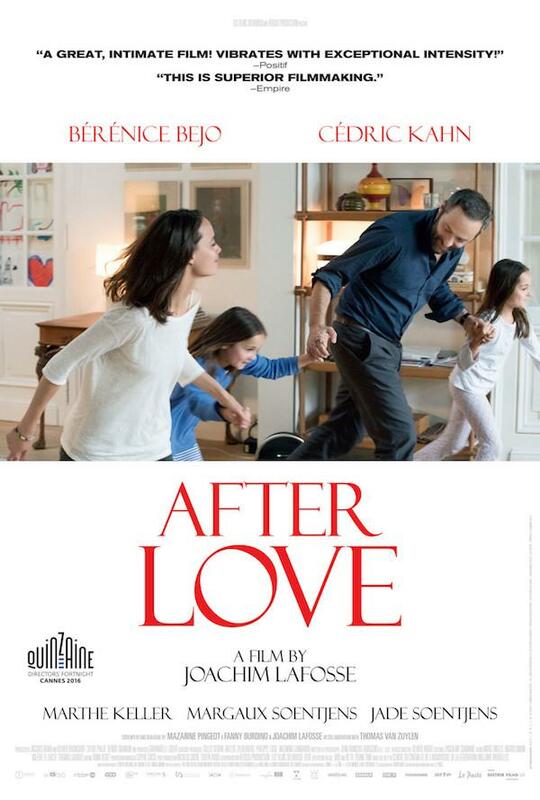 ‘After Love’ – Bérénice Bejo stars in this emotional French drama about a couple who decides to divorce but must remain living together under the same roof for financial reasons. Unrated. Friday, Sept. 1 to Thursday, Sept. 7. Cinema Under the Stars: Films presented at an outdoor viewing space on various nights of the week. Experience art hands-on by painting a group mural while enjoying treats during Food Truck Fridays. Treasure hunt activities will also be offered to highlight museum paintings. 5 p.m. on the first Friday of every month. Timken Museum of Art, 1500 El Prado, Balboa Park. Visit timkenmuseum.org. View the work of French Impressionist painter Claude Monet at Timken Museum of Art. Centerpieces of the exhibition are two major oil paintings by Monet on loan from The Metropolitan Museum of Art. Free admission. Exhibit hours are 10 a.m.–4 p.m. Tuesday­–Saturday; Noon–4:30 p.m. Sunday. Timken Museum of Art, 1500 El Prado, Balboa Park. Visit bit.ly/2wvCR16. Fleet Science Center and Australian Centre for the Moving Image will showcase the work of over 30 video game designers. The exhibit also offers free, playable games. Admission $17-$20. 10 a.m. to 5 p.m. Monday–Thursday; 10 a.m. to 6 p.m. Friday–Sunday. 1875 El Prado, Fleet Science Center. Visit bit.ly/2sYkb5q. Brenda Biondo’s photography will be on display at San Diego Museum of Art. The exhibit features 25 of her photographs from her two series: ‘Playground’ and ‘Paper Skies.’ 1450 El Prado, Balboa Park. Visit bit.ly/2sY1uiA. San Diego Museum of Art presents an exhibition displaying images of Hindu deities. View the exhibition on the first floor of Gallery 12 North: Barbara & Norton Walbridge Gallery. 1450 El Prado, Balboa Park. Visit bit.ly/2sXMd1b. North Park Toastmasters meeting: 6:30–8 p.m., weekly meeting at St. Luke’s Episcopal Church, 3725 30th St., North Park. 619-694-9148. bit.ly/2vMOGje. Open Mic Night: 6:30 p.m., the mic is open to you at Lestat’s Coffee House, 3343 Adams Ave., Normal Heights, free. bit.ly/2vMqHR9. International Summer Organ Festival Finale: Stop by the Spreckels Organ Pavilion for the last free concert of the summer series. Carol Williams and Carol Williams Band will perform a combination of classic organ and a tribute to The Doors. 7:30 p.m. at 2125 Pan American Road in Balboa Park. bit.ly/2roypPD. Curbside Bites: 5–8 p.m., gathering of gourmet food trucks at 3030 Grape St., South Park. bit.ly/2vMQDw2. Tasty Truck Tuesdays: 6–9 p.m., Smitty’s Service Station hosts several food trucks under their well-lit shade structure, 3442 Adams Ave., Normal Heights. bit.ly/2umVaVy. Uptown Democratic Club Monthly Meeting: 7–9 p.m. every fourth Tuesday, 3900 Vermont St. at Joyce Beers Community Center. bit.ly/2tL2tTw. Wednesday Night Experience: 7–8 p.m., uplifting and spiritually inspiring experiences for all, weekly at Universal Spirit Center, 3858 Front St., Hillcrest. $20 donation requested. bit.ly/2vMK5xl. Uptown Sunrise Rotary Club meetings: 7 a.m., weekly meeting at Panera Bread, 1270 Cleveland Ave., Hillcrest. bit.ly/2pezpnR. North Park Thursday Market: 3–7:30 p.m., at 3000 North Park Way, between 30th Street and Granada Avenue, North Park, free. Northparkfarmersmarket.com. Kornflower’s Open Mic: Sign up at 7 p.m., open mic (no poetry or comedy) Family-friendly event at Rebecca’s Coffee House, 3015 Juniper St., South Park, free. Rebeccascoffeehouse.com. Liberty Toastmasters Club: 7 p.m., at Saint Paul’s Community Care Center, 328 Maple St., Bankers Hill. bit.ly/2vN6A5t. 2017 San Diego Film Series: 7:30 p.m., every third Thursday view a film representative of Italian cinema at the Museum of Photographic Arts, 1649 El Prado, Balboa Park. Sandiegoitalianfilmfestival.com. First Thursday at The Lafayette: San Diego Made presents a new event the first Thursday of every month at the Lafayette Hotel, 2223 El Cajon Blvd. bit.ly/2qprnJd. Memory Café: 10–11:30 a.m., second and fourth Fridays. Gathering place for those with memory loss, caretakers and those worried about memory problems in the Common Room at First Unitarian Universalist Church of San Diego, 4190 Front St., Hillcrest. At-will donation. bit.ly/2vMSsZV. Square Dancing Classes: 8–9:30 p.m., every Friday. No previous dance experience needed. Recital Hall, 2130 Pan American Plaza. $50 for 13 classes. 858-277-7499 or circulators.sdsda.org. Old Town Saturday Market: 9 a.m.–4:30 p.m., on Harney Street and San Diego Avenue, Old Town, free. Also held on Sundays. Oldtownsaturdaymarket.com. Ray At Night: 6-10 p.m., second Saturday. 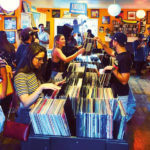 Free monthly art walk in North Park. Visit bit.ly/2qpDcyY. Hillcrest Farmers Market: 9 a.m.–2 p.m., under the Hillcrest Pride Flag, University Ave, and Lincoln St., free. Hillcrestfarmersmarket.com. West African dance class: 5:30–7 p.m., Master dancer Djibril Camara from Guinea teaches these classes that are also a great workout for all ages and skill levels at La Vie Dance Studio, 325 W. Washington St., Hillcrest. Visit bit.ly/2rkMr1u. —Calendars compiled by Sara Butler. Email calendar items to ken@sdcnn.com.